The Watermelon Vape in this package helped a lot with my anxiety… It alleviated my nervousness and helped me to relax. 5 stars! My better half got this for me for Christmas. I’m almost done with the gummies and will buy more. The Chill was interesting tasting. I was reluctant spending this much on these products, but in all honesty, they were excellent. I shared them all with my girlfriend and she used up all the vape quickly. My package got to me quickly. I got a lot for the money with these. 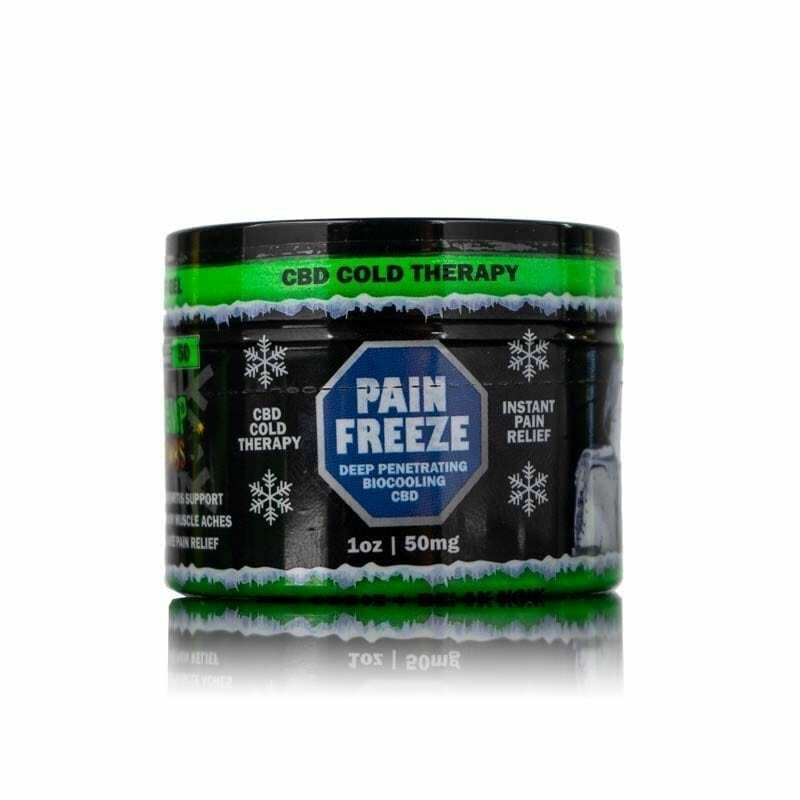 My pain rub ran out and it really helps me manage my arthritis without medication. I ordered some more. Product is Fantastic !!!! I wish I could just buy more, and they do have great discounts. The CBD Oil is very effective at bedtime for me. I’ll be getting some more of that for sure. By far best CBD products iv’e tried. Will be becoming a frequent buyer, excited to try more products!! Love this bundle i mean yea its more on the pricey side but if I were to buy each product individually I would be paying more so this is just great. I went through the pain rub pretty fast. I started using it when the bundle arrived and then I was using it every day and still am. It’s a great product. I don’t usually post reviews but, my friends and I pitched in to get the bundle with all of your guy’s products. Awesome products, we were all in agreement that this stuff really works, can’t wait to get more!!!! I recently came across Hemp Bombs in a local store and really enjoyed the gummies. I’m amazed at the selection online though. My local store only carries the gummies and the capsules. Looks like I’ll be shopping online from now on! 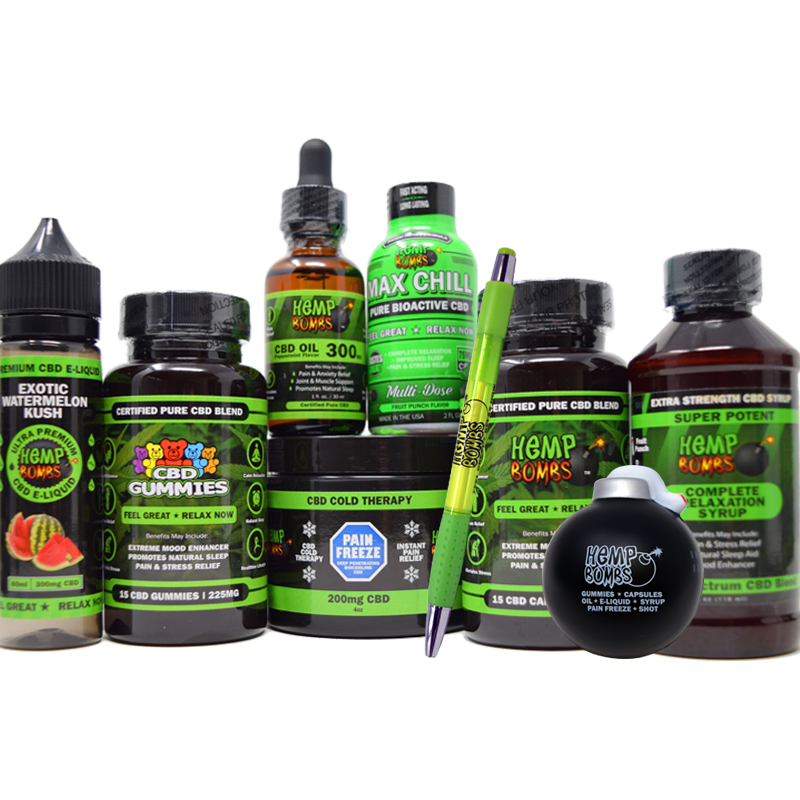 Based on my experience with the watermelon vape included in the bundle, I ordered the 4000mg size. Sooooooo good and huge smoke. I saved good money with this package. 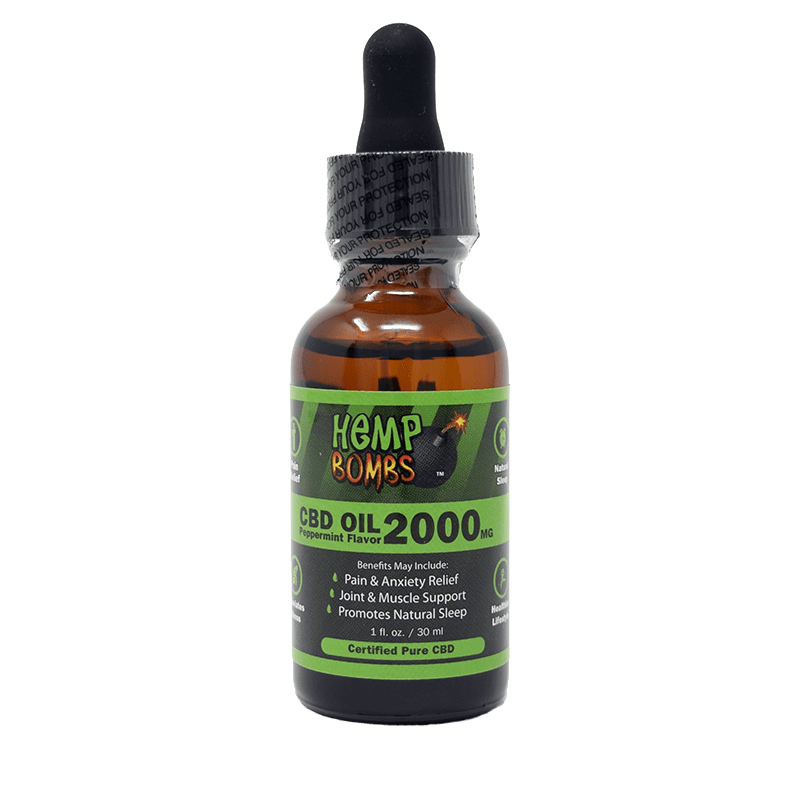 Excellent cbd products. I can’t decide which product I like the most out of these. All of them work great. You can really tell you guys use a high quality CBD and it’s potent. Hey, this is a nice package. A little of everything. And it was all good. I’ll be buying more of the cbd oil real soon. I LOVE this bundle! It is a bit pricey but still much less than if I had to buy the products separate. Man, I love these products. I never know which one I am going to want, so this is such a great option for me. I probably wouldnt normally buy this, but with this sale I cant pass it up! this bundle was made for me!!! I get to try everything at a great price! saving me some dinero…oh yeah. Thanks for the discount code! Made it easier to afford. Gotta have my CBD for pain. These arrived much faster than expected. Just in time for the weekend. Kathy, in customer service, talked me into this bundle and I am glad she did. I enjoyed all of the included cbd products. I’ll be buying more of the Gummies and I’ll try some of the new Vape flavors. Truly enjoyed every product in the package. I just placed an order for your cbd oil and cbd gummies. We used everything in the bundle except the vape so far. Went through it all quickly too. Will be buying more of the oil. 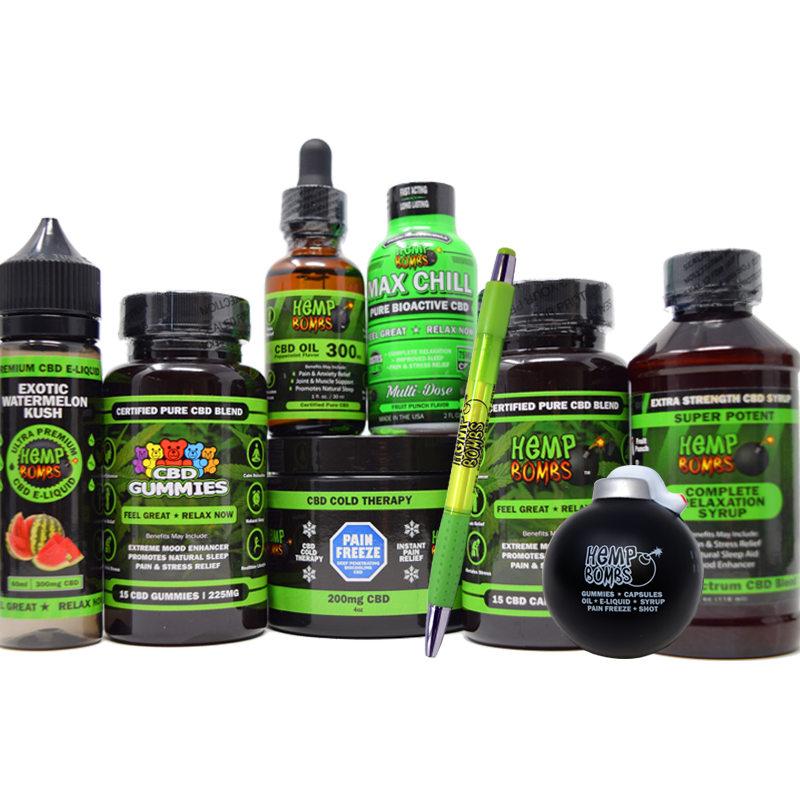 These products work great I wish CBD just wasn’t so expensive! I’ve fallen in love with your products. I’m deployed overseas and have undoubtedly accrued copious amounts of stress during this tour. My sister was worried about me, and after countless hours of looking, she found Hemp Bombs and sent me this package. I’m glad that these products are legally available, and as a service member I can take them without the fear of failing a drug test. They’ve helped me tremendously. Thanks! Cough syrup taste whack but the rest was decent. Best prices around so ill order again. Bought this to share with my roommate and we were able to split most of it evenly. They really don’t lie when they say the effects are different for everyone.. All of the products worked for me and they did nothing for her. She did like the pain lotion though. I was browsing your site and couldn’t decide which product to try.. So I went with this package and I’m so glad I did. The most bang for your buck. I gave the pain rub to my mom who has arthritis and she loves it. The gummies are delicious and the e liquids taste nice as well. The capsules have been a huge help in my life. After taking sleeping pills for over 20 years, I looked for an alternative. I found your Hemp Bombs and read all the reviews. Decided to try out the capsules. Well, I take only one capsule after dinner and I am sleeping now better than ever. I dumped out ALL my sleeping pills. Never going back. Your hemp oil has been a Godsend for me. It literally has given me my life back. I’ve been taking it for months for my osteoarthritis in all my joints. MUCH less pain now. Thank you so much! Very impressed how drowzy the syrup makes me feel after taking it before I hit the sack. I feel totally relaxed and sleep like a newborn. This a fantastic savings. 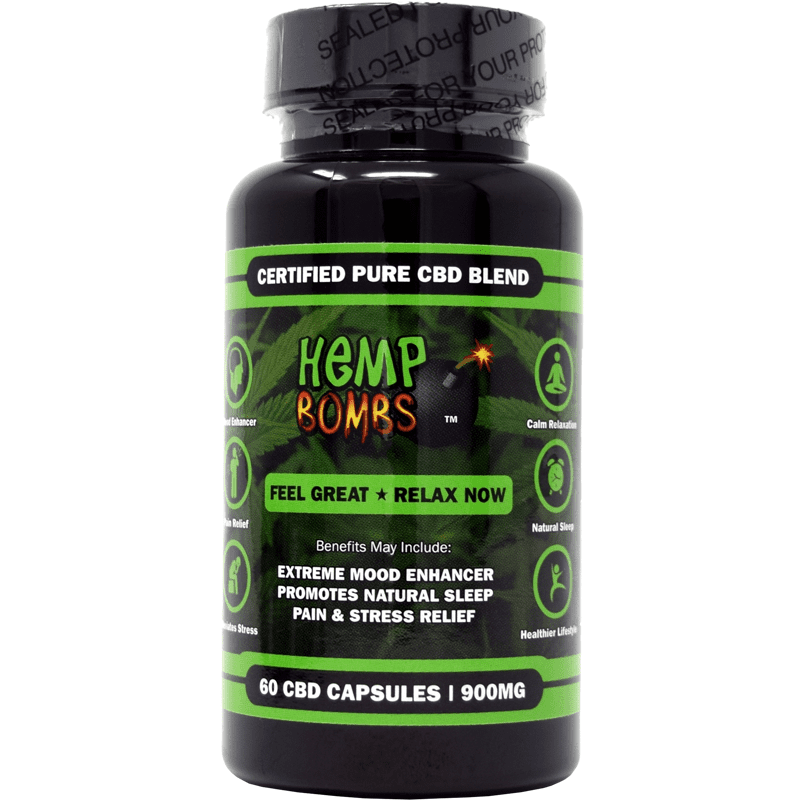 If you’re a regular user of most of the Hemp Bombs products you can really save a ton. 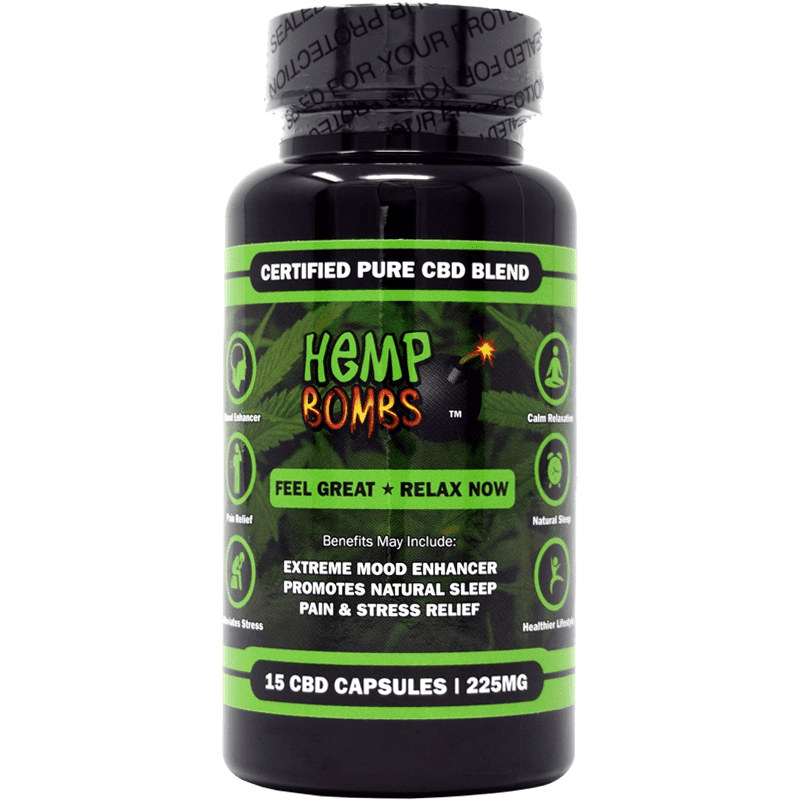 Can I tell you how much better, longer and deeper into REM sleep I’ve been getting since I started using your hemp syrup. No joke. It’s like someone put dumbbells on my eyelids. Better than ANY sleeping aid I’ve ever tried. My wife gets similar results. We’re really happy with your products and company. Best value on the site. Every product is quality and your shipping is very fast. Amazing. Sorry, but most of it didn’t do too much for me. My wife really likes the gummy bears though. Quality cbd. They were all worth trying. I decided to try out more of your products. Since i was already buying your gummies and vape this package was a great value. Now I’ll be set for a while. Good quality and saved a bunch on the HB products I already use. I’d recommend any of your CBD stuff to anybody. Shipping was super fast. And everything in the box came exactly as stated. Very pleased so far. I really LOVE how much money I saved on this bundle. Great value. I’m set for a while. This package was great, I wanted to give CBD a try and this was perfect!